Jonny has been in the marine trade all his working life. 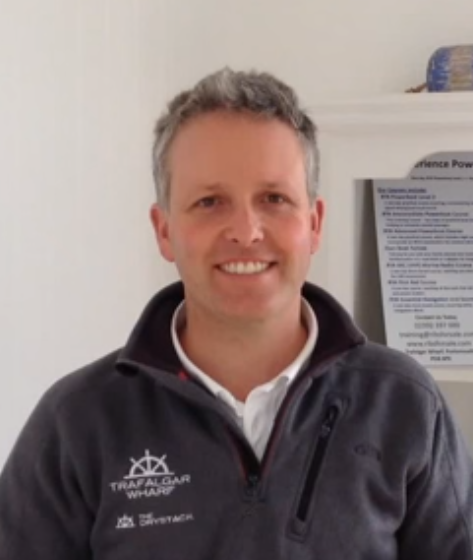 Having grown up sailing in Chichester Harbour he started working with boats whilst still at school and decided quite early on that the marine world was where he wanted to be. In 1999 JBT Marine was born (a specialist Rigid Inflatable Boat business http://www.ribsforsale.com/ ). JBT Marine has gone from strength to strength and continues to be run by a very capable and loyal team. 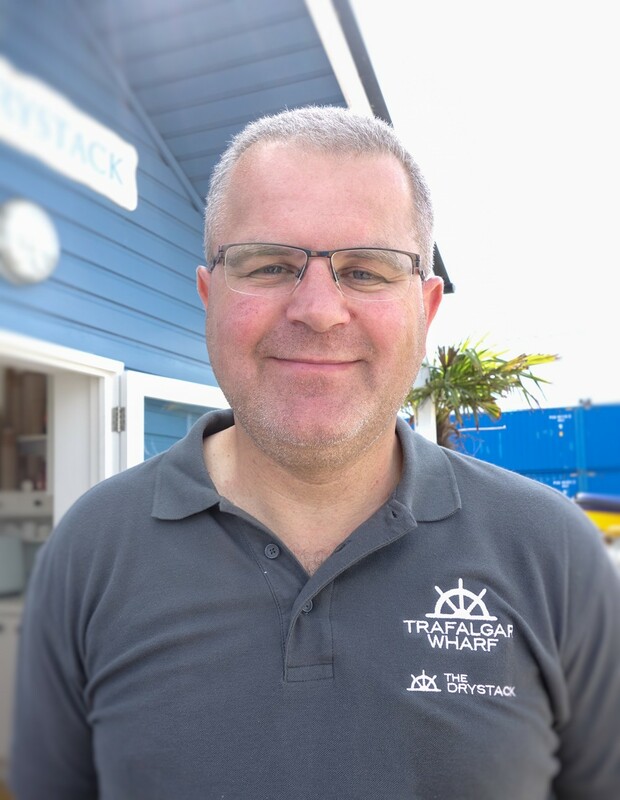 Jonny took over Thornham Marina, Emsworth, in 2004 and with his four-strong team has over the years improved the marina's functionality and appeal. Thornham Marina has a powerful sub-lift to raise and lower boats, and a number of marine tenants which is a huge benefit for customers working on their boats. 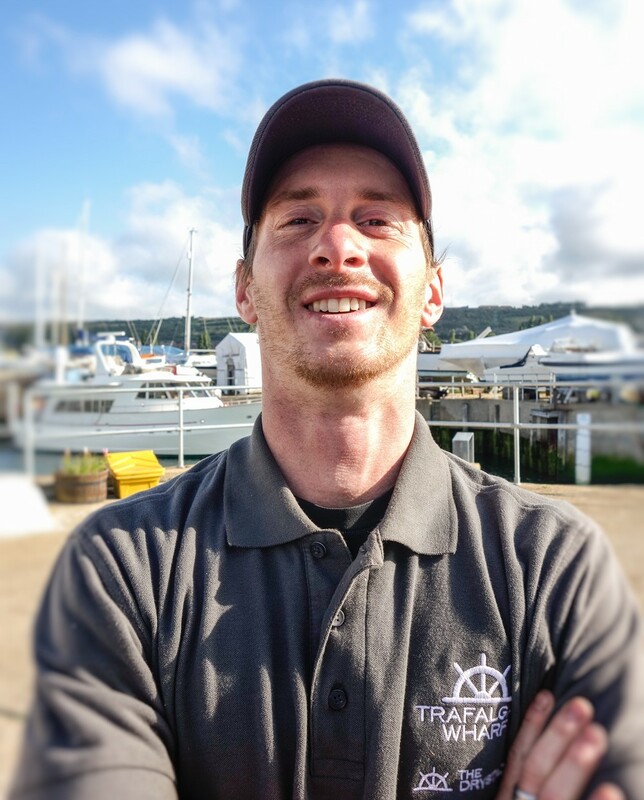 He is now concentrating his time on Trafalgar Wharf and the indoor Drystack, which is no doubt the best place to lift, launch, store and maintain your boat on the South Coast. You might have seen him on Scrapheap Challenge and Scrappy Races as one of the members of the Boat Buoys. He loves to sail when he gets time, but also spending time with his family and showing his three little girls what sailing and RIBs are all about.
. He has sailed widely throughout the Baltic and Europe, undertaken a trans-Atlantic crossing and many passages to Madeira and the Canaries. He was one of the youngest ever people to be awarded an MBE at the age of 28. His vast knowledge of sailing and racing, which includes a win in the Fastnet, and his time sail training means he has a wealth of knowledge. Before joining Trafalgar Wharf, Jo worked in a variety of different roles, including Personal Assistant, Sales Manager and Buyer for Bacardi (not all for personal consumption!) 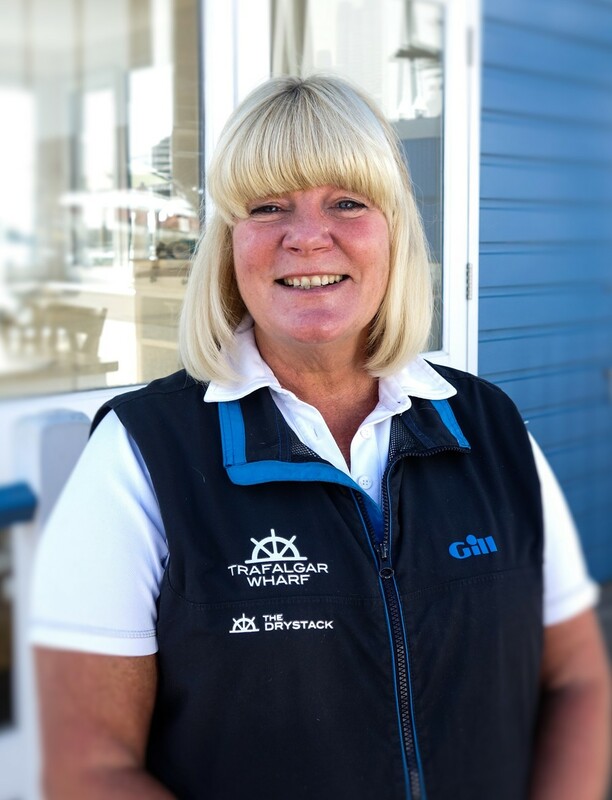 Since she joined us here at Trafalgar, in the summer of 2011, she has taken on the position of Office Manager and looks after much of the organisation of Trafalgar Wharf. 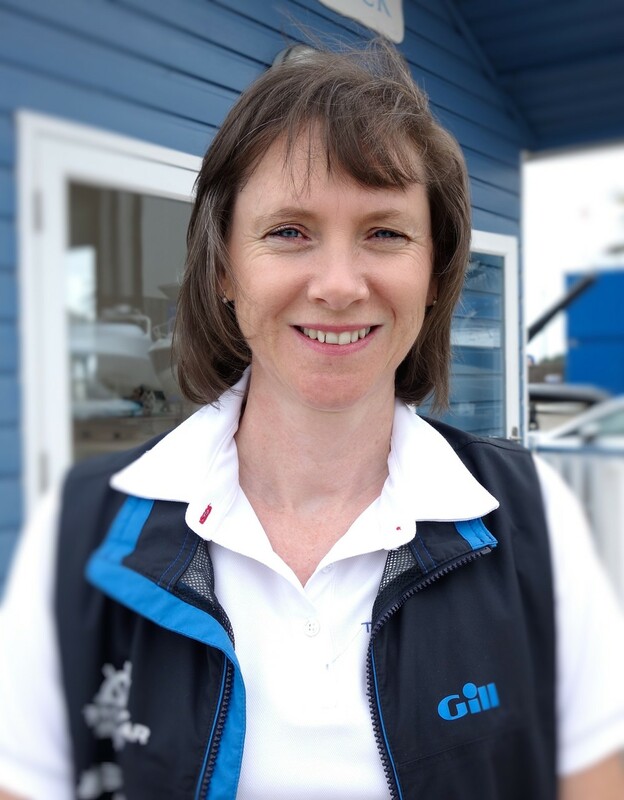 Although Jo isn’t a hardened sailor, she has sailed on Kingfisher during Cowes Week alongside Ellen MacArther and since she joined the team she has learnt how to drive a RIB, played Cricket on Bramble Bank and is looking forward to being able to launch boats at The Drystack on our huge Wiggins Forklift. Quite possibly her most famous role at Trafalgar Wharf is in our Youtube Video’s – you can see her climbing fire ladders, being entertained by beat-boxing firemen and marking Australia Day by wearing a bikini to work!! Catherine worked for a variety of different accountancy practices before becoming self employed. 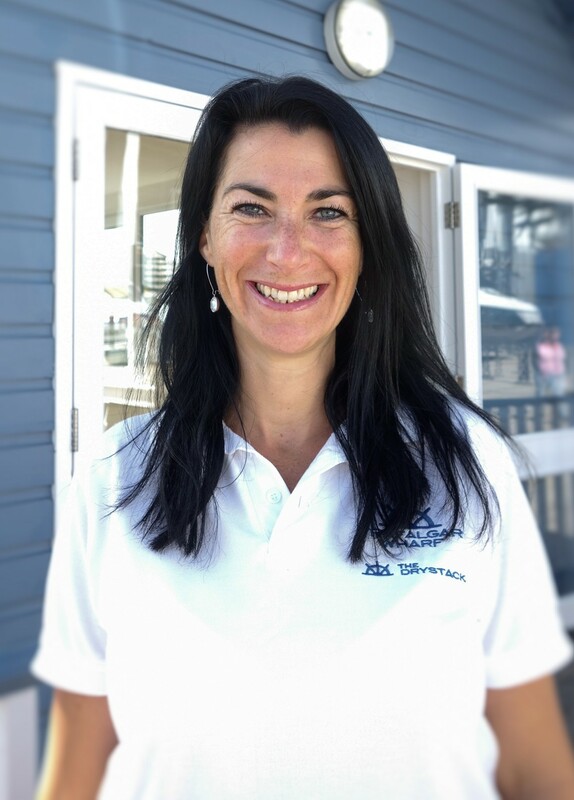 She currently works with different marine based companies including Thornham Marina and JBT Marine . At Trafalgar Wharf Catherine looks after our accounts, but she's not just any regular accountant, she's our accounts extraordinaire. Responsible for all invoicing on site including our Drystack, Boat Park and Boat Yard. She keeps us all in check and we would be lost with out her! In her spare time there is nothing she likes more than relaxing with the family in the garden. Corinne is the Sales Manager and has been with us since 2012 . Corinne spent much of the last 10 years afloat as she worked on HMS Warrior as the ‘Special Events Manager’. Since then Corinne ran her own hotel called The Griffin Inn Llyswen in the Brecon Beacons where her customers included the likes of Brian May and Ed Miliband. During her free time there is nothing Corinne enjoys more than gardening in the sunshine and a relaxing barbeque in the evening with friends and family. For many years Corinne helped out as a leader with 3rd Portchester Sea Scouts and owned her own powerboat. Corinne collects whisky jugs and has over 80! Leigh-Ann joined us as Operations Manager in November 2017. Prior to joining us she specialised in the management of Waterside Mix Use Schemes, and has also held senior positions within a FTSE 100 company, the south coasts leading designer shopping outlet and the UK's largest domestic ferry company. Flav joined the team in January 2015. He drives the forklifts and mostly enjoys spending time with customers. Before joining Trafalgar Wharf he worked as a Ski Instructor at Deer Valley Resort in Utah USA, where he had lots of fun teaching children as young as 3 years old how to ski! He then worked at Roche Harbour Resort in Washington State USA. Being one of the busiest marinas in North West USA, he worked closely with the coast guard and the sheriff’s office, where his interest in boating and marinas developed. He loves travelling! And hates bungee jumping! a promotion to Duty Manager. He had recently returned to the UK after 23 years working at a boat yard and drystack in Hong Kong. Previously he spent time as a yacht and boat builder completing his apprenticeship on the River Hamble. He loves travelling and cooking! And is allergic to horses. Tom has been at The Drystack since 2011. He started part time, helping the drivers, and has now progressed to driving all of the machines on site. 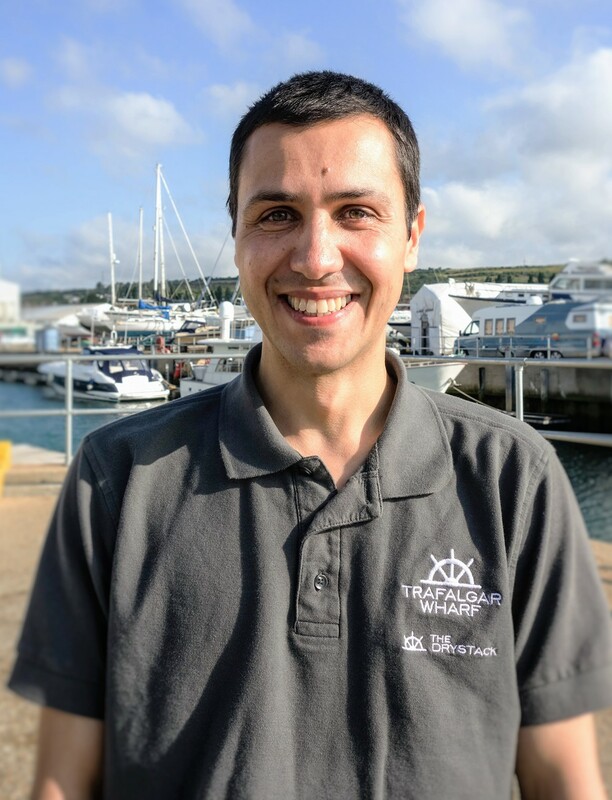 He has previously worked for Marine Superstore and various other yacht servicing companies within Portsmouth and Chichester. He also spent years sailing with his parents on a Westerly Berwick. In his spare time he loves nothing more than a bit of power boating on his families Ballistic 6.5, where a pub lunch at The Folly Inn will never go amiss! He also enjoys mountain biking and driving his car. Tom gathers garden snails and likes them to race. Phil started work at Trafalgar as a trainee yard operative in February 2010 and is now a fully-fledged Lifting Technician. Before joining Trafalgar he worked as a labourer for a landscaping firm in Hampshire. Out of work, Phil is a semi-professional session drummer. He’s played for, and supported various bands in venues such as, the 'Wedgewood Rooms' and the 'Joiners Arms' of Southampton where artists such as Razorlight, Pete Dougherty and the Arctic monkeys have played. Phil does a very convincing impression of a seagull. 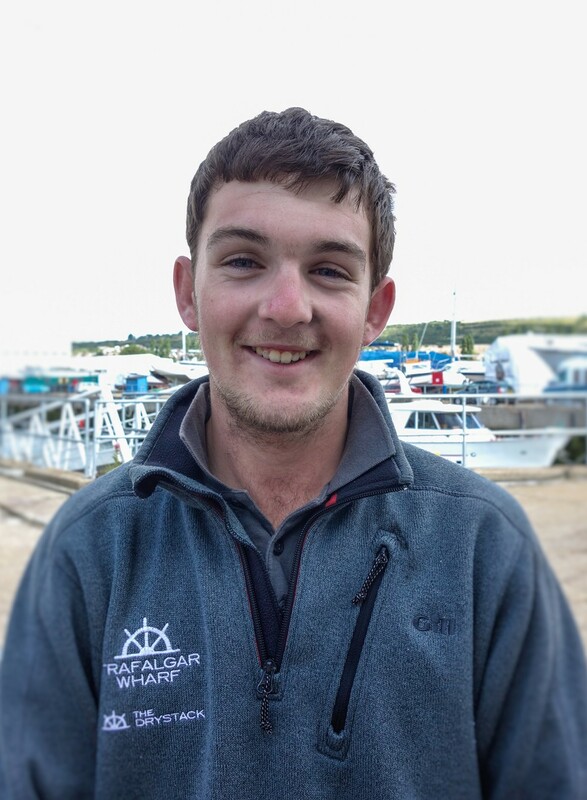 Dom has been with us since 2014 he started as a summer casual spotting the boats down to their rack and organising the pontoons. He is now a full time Lifting technician and fully qualified to drive the forklifts. Dom has previously worked in the historic dockyard Portsmouth restoring and repairing boats. He has a supervised coxswain that he achieved with Portsmouth sea cadets corps. He enjoys cycling and powerboating with friends. Jeremy has worked with us part time since summer 2014, he drives the forklifts and enjoys lifting and launching the boats. Jez is a qualified electrician and also a swimming pool engineer. In a past life he was a professional dive master in scuba diving. Jez also has a real passion for knitting! Jim has had an amazingly varied career from being an able seaman in the merchant navy to rebuilding computers and salvage diving to designing and building houses. 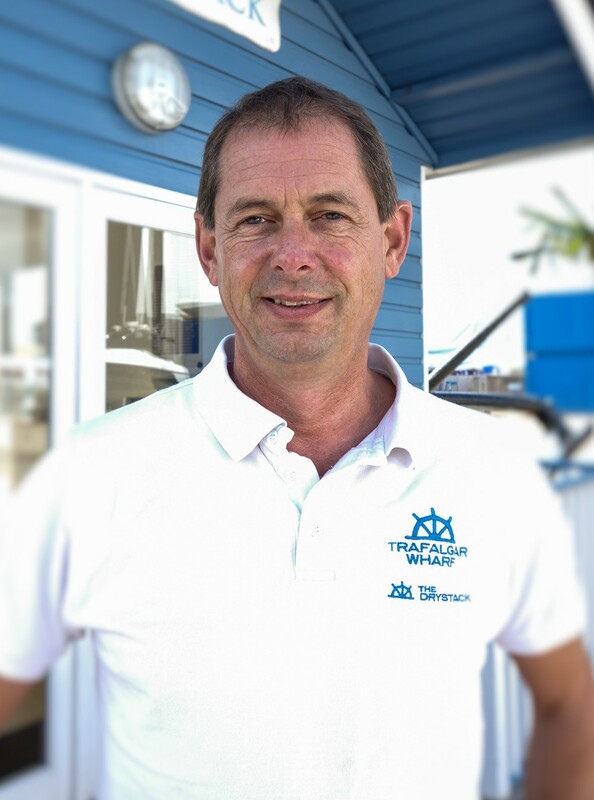 On Saturdays you will find him in the Trafalgar Wharf office but for the rest of the week Jim is out and about on site fixing all the things no one else can. Can Jim fix it? Yes he can! In his spare time he enjoys sailing, reading and playing with computers.